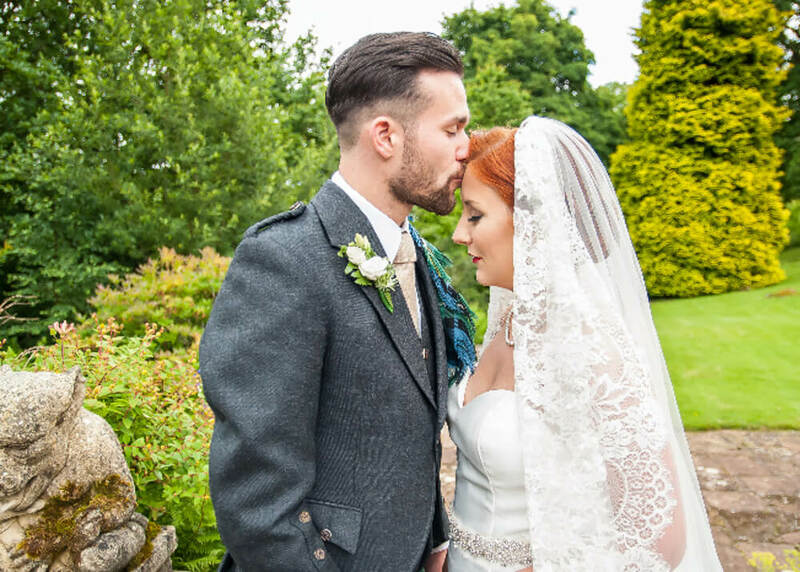 We are a family-run wedding photography business based in South Lanarkshire and we cover most of Southern and the Central Belt of Scotland. Hello and welcome to our website. Thanks for dropping in. We are a family-run wedding photography business based in South Lanarkshire and we cover most of Southern and the Central Belt of Scotland. We do not discriminate against those living north of the Great Glen, but our quotes may not be as competitive as those from a local wedding photographer. We have a staff of four expert wedding photographers and two assistants, and so if you have an extensive budget to spend on your wedding photography, or if you prefer a smaller more intimate affair then we are happy to provide you with our services. We have produced a price list showing various wedding photography packages, but this is purely to give our client an indication of the services which we can provide. We are happy to tailor a package to suit the needs of our clients. Once a price is agreed for your wedding photography package, there are no nasty surprises in the way of extra charges. Our standard wedding photography package will include bridal preparation shots; all the way through your special day up till the first dance (and beyond if you so wish); and once the images have been edited we are happy to give you a special presentation DVD with your images on it, in a high resolution format which will allow you to go to the high street for prints etc. If you like what you see on our website, why not send us an email, give us a call ( we don’t bite honest), we can discuss your wedding photography requirements, and perhaps we can be of some assistance to you. Thanks for reading this, and we look forward to hearing from you. Campbell is a co-founder of VG Photography, and has been involved in the shaping of the business over many years. With the innovations in digital photography, Campbell has found his niche in the business. He has been instrumental in the image production department of the business, and it is through his efforts, which allow us to present our clients with the memorable wedding photographs which they are looking for. Coupled with this he is no slouch when it comes to taking the photographs. He is equally as skilful when it comes to taking the photograph. Gordon is the other co-founder of the business and for many years, worked away on his own. Then the family came along and he was dragged kicking and screaming into the 21st century. Gordon is heavily involved in the day to day running of the business, meeting clients etc., and his philosophy of honesty and hard work, has helped to bring the business to where it is today. Thank you very very much for the fantastic photos. I'm loviin' them. It's getting me all emotional again looking at them. Just want to say a massive thank you for everything. For the time you spent with us before the wedding, the pre-wedding shoot, and most importantly the big day. You were everything we could have asked for, patience and giving great direction. Then we got our pictures (without a long wait) and we are able to re-live our day over and over again. As the saying goes “a picture tells a thousand words” and yours certainly do that. Thanks again, and we will highly recommend you in the future. Can’t thank you enough for your patience and professionalism at our wedding. You were amazing. We really like the photographs, and I do like the funny ones. Just a short email to thank you both for all your help. Your professionalism made the day even more enjoyable. Loved the photographs, all the wee surprises were just wonderful. Thanks again. Thanks for helping make our day special. The photographs were great. We would have no hesitation to recommend you. We would love to discuss your event with you in further detail. You can contact us by telephone on 07724 362 007 / 01357 300380 or email us. Alternatively, complete this form and we will get back to you as soon as possible. Do you have a date booked?